Once again, the Group was the most profitable of all the oil majors in 2018. Total reached an 8% hydrocarbon production growth in 2018, and aims more than 9% in 2019. 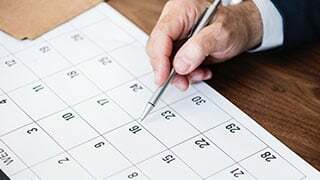 Focus our efforts in the oil industry on investments with a low breakeven point, so that we can withstand a potential decline in demand while benefiting from higher oil prices. Expand our operations right along the value chain for natural gas, the only fossil fuel predicted to grow over the next 20 years, particularly in the area of liquefied natural gas. Significantly strengthen our presence in low-carbon electricity to capitalize on the strong growth demand. The Group has taken advantage of the low part of the oil price cycle to acquire high-quality resources at attractive prices: 7 billion barrels of oil equivalent added to its reserves between 2015 and 2018 at a cost below $2.5 /boe. With its acquisition of Engie’s LNG assets, Total is the second largest publicly-traded player in the LNG business, a market growing by 5% per year, notably supported by China. The Group produces electricity from gas and renewables (solar and wind) and markets to final customers. Total targets 7 million customers in 2022 (4 million in 2018). In Exploration & Production, we confirm the objective to grow our production by 5% per year on average between 2017 and 2022 with production costs of $5.5 /boe expected in 2019, among the lowest of the majors. In the Downstream business, we generate around $7 billion of cash flow per year and the highest profitability of the market. In Refining & Chemicals, Total leverages its 6 world class integrated platforms and is continuing to implement its strategy for growth in petrochemicals. 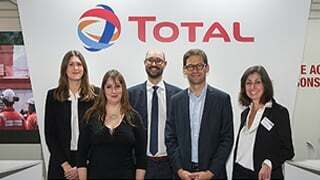 Total also continues to expand Marketing & Services, non-cyclical business, in fast-growing areas. The Group maintains its financial discipline regarding costs to reduce its breakeven to maintain profitability regardless the environment. 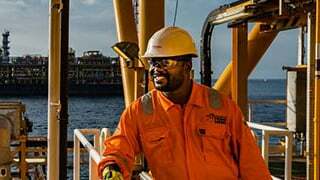 Total targets $4.7 billion in cost reduction and net investments of $15-$16 billion in 2019. The Group’s balance sheet is solid with a gearing ratio of 15.5%, below the target limit of 20%.